Has Soda Sabotaged Your Smile? According to the American Dental Association, in the last 20 years, the consumption of soft drinks has increased 300 percent. Serving sizes have ballooned from 185 grams in the 1950s to 500 grams in the 1990s. Now that’s a lot of sugar – and a huge detriment to oral health. The average can of soda has approximately 10 to 12 teaspoons of sugar, but sugar alone is not the culprit for tooth decay. 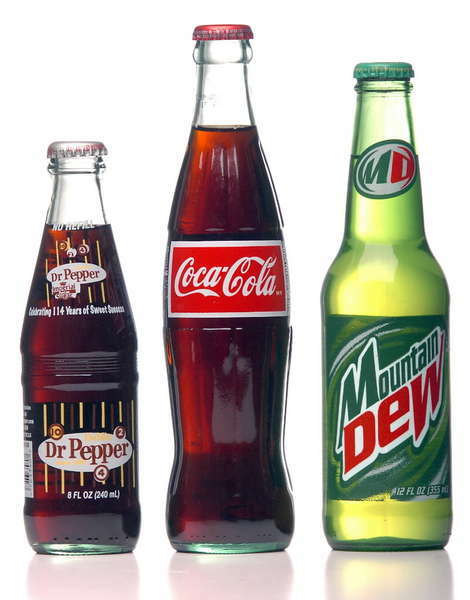 Carbonic and phosphoric acid in some of your favorite sodas can dissolve the calcium from your enamel. The result? Softened teeth that are a welcome mat for destructive bacteria; drinking sugar-free soda doesn’t make the beverages any better for your teeth. It’s not just soft drinks that are doing damage to teeth – the popularity and high consumption of energy drinks is to blame as well. The dependence on these beverages begins in youth. Some teenagers consume as many as 12 soft drinks a day, according to the Journal of the Minnesota Dental Association. And the U.S. Department of Agriculture’s Food and Nutrition Service reports that at least one in five kids consumes a minimum of four servings of soda a day. Factor in large serving sizes and thus begins the long road to dental erosion and serious oral health consequences. Long-term consumption of sodas and energy drinks has a cumulative effect on your tooth enamel – the longer you live and the more soft drinks you ingest, the more likely you will be to experience dental problems. (803) 781-9090 or contact us to discuss what we can do for your smile makeover, and get you back to good oral health. By adam|August 11th, 2011|Preventitive Dentistry|Comments Off on Has Soda Sabotaged Your Smile?